‘What U Want’ in Tofo…a new Italian Restaurant! A new flavour has come to Tofo Town! An Italian family restaurant and pizzeria that features fresh home made pastas, seafood, beef, and Focaccia – which all compliment each other nicely on What U Want’s rather complete menu. 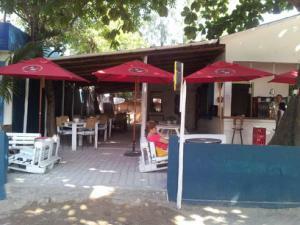 Situated under a huge fig tree in the middle of town, the decor, setting and atmosphere smacks of Mozambique…What U Want restaurant is next door to Diversity Scuba, in the old Waterworks premises. Proprietor and Maitre De – Pietro Barone also takes care of service and quality control… and adds that Italian flair to the operation. 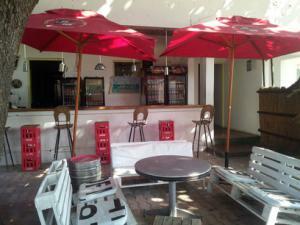 Ice cold beer, good music and a range of good wines on a comprehensive drinks menu will get you started.